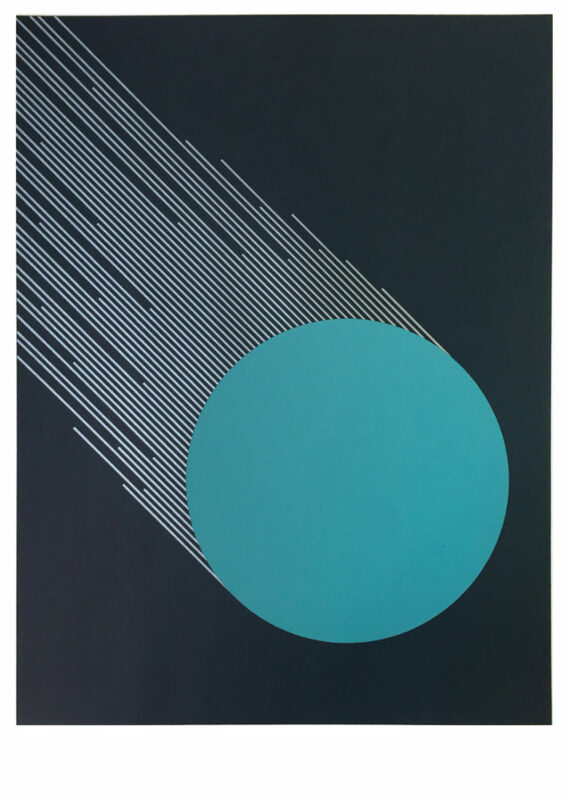 Comet is a playful, geometric illustration of a comet in motion. Inspired by sacred geometry and bold forms, it is an abstract representation of this astronomical event. 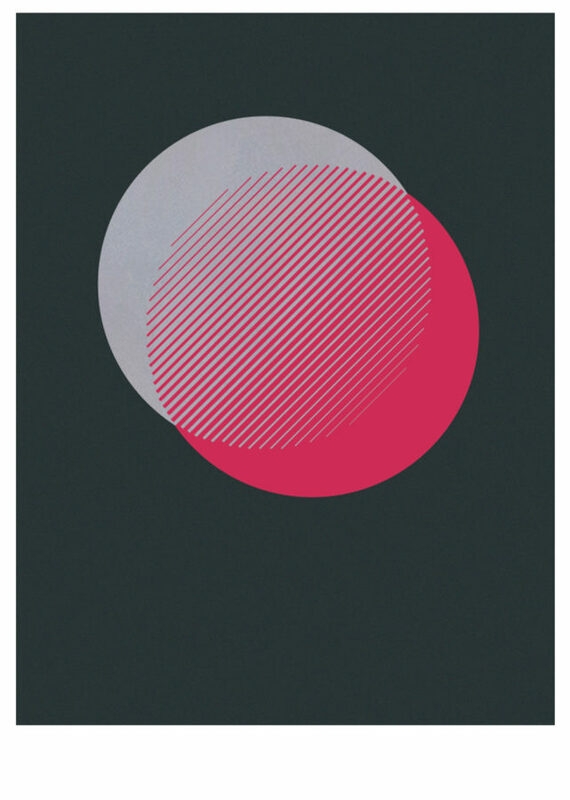 Deirdre Breen is a designer and printmaker based in Dublin, Ireland. Originally from Cork, she graduated from Limerick School of Art & Design in 2008 where she specialised in Graphic Design. She spent 4 years in London working as a Graphic Designer and was an active member of the organisation Graphic Birdwatching, before returning to Ireland in 2013. 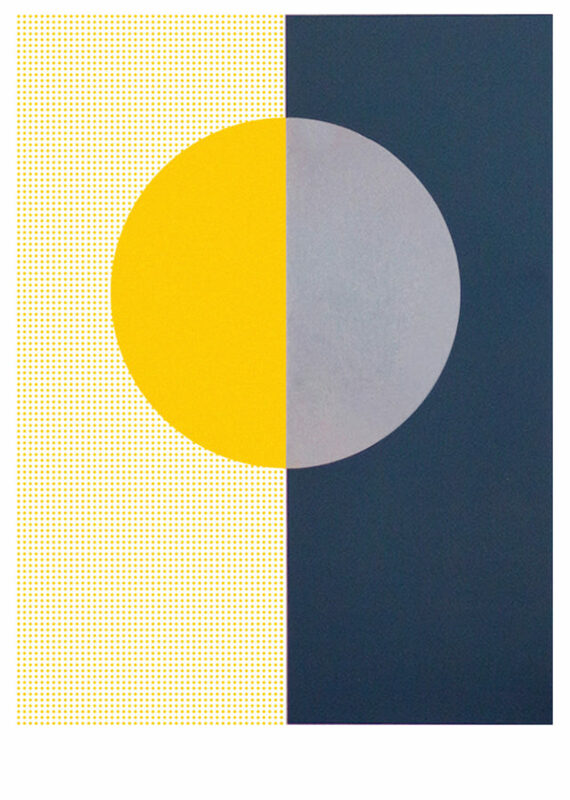 Her work is a playful exploration of simple forms, colour, gradation and repetition. She takes inspiration from themes in nature, architectural landscapes and places of unconventional beauty.